Sort the segments of the GPS system in the diagram. Sort the properties of the supercomputers by color. Sort the purpose of the supercomputers by color. Sort the symbols in the correct search query. Arrange the application areas of databases by color. Put the educational site logo in the correct category. Arrange the supercomputers by FLOPS speed. Fun Online Computer Technology Classroom Games Collection. The computer classroom games are small flash applications, up to 2 MB, suitable for interactive practical occupations in computer technology calsses. These online games are free and easy tool for learning and get familiar with the basis of information technology and computer science and may be used to fill, help or implement lessons of Computer Technology school subject. 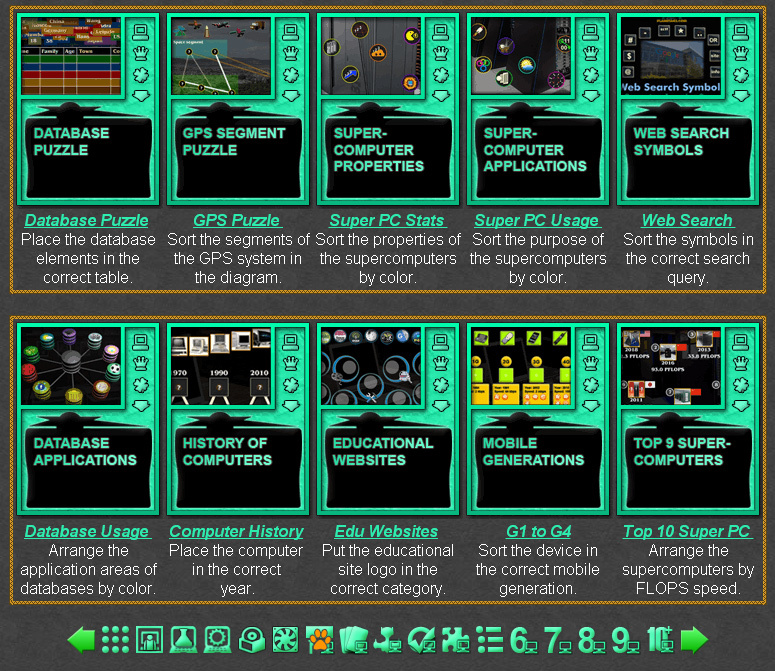 Interactive Computer Tools. 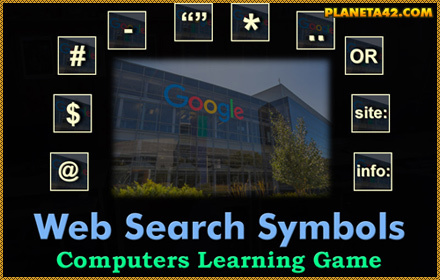 Fun Information Technology Classroom Games Collection.